Many felt that the tackle should have at least resulted in a penalty being awarded to South Africa which would have given Erasmus' men the opportunity to win the game in what would have been the last kick of the contest. The match-defining moment has many wondering about the interpretations of the law. "Nothing upset me about the tackle". Springbok coach Rassie Erasmus is clearly still incensed by Owen Farrell's armless, unpunished "tackle" during Saturday's clash at Twickenham. 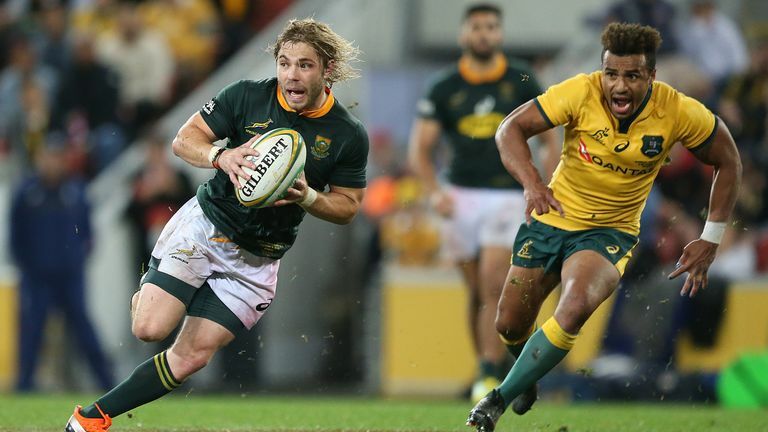 "It's good to welcome Faf‚ Willie‚ Cheslin and the others back into the squad‚" said Erasmus. "To tackle a guy like Andre Esterhuizen like that and stop him in his tracks, that's unbelievable, so we'll have to try and practice that". Nevertheless, the game ended in controversy as Farrell was the subject of a TMO decision after a potentially risky tackle on Andre Esterhuizen allowed the hosts to regain possession and kick the ball out of play.